Just over half a century after his arrival at Midleton RFC, Con Walsh is still a major part of the plans, now as president. In fact, it's his second year in the post and he loves every minute of it. Walsh is a Midleton native, and outside of a brief stint playing hurling, rugby was always the number one sport for him. He joined Midleton RFC in the 1968-69 season and when he was asked about taking up the presidency a couple of years ago, he jumped at the opportunity. "It came up because the previous president became unwell. I used to go with him and I was nominated by the committee. They asked me would I take the president's job and I said I would. I quite like it," said Walsh. "Looking at the future, we are lying second in the division at the moment, and I hope that we get to go to the play-offs this year and progress to the next division. "That is what we want in the club. You would be surprised with the boost that gives to the club. When things are going well it brings extra people into the club. "The All Ireland League is very important. We have a nice group of players playing for us. We are up against Bangor at the weekend. Hopefully we can come away with a win and strengthen our position for the play-offs." Midleton RFC was founded in 1927-28, and although it was disbanded in 1934, the new club Midletonettes took up the mantle and soon claimed a first County Cup. Midleton RFC was reformed on March 4, 1967 and it wasn't long before future president Walsh walked in the doors. "I played for years and years for Midleton," said Walsh. "I went to play with the famous Tribe Hounds, they were a golden-oldies team. We are not playing anymore as a team. "My last game was when I was 56. I would play wing-forward. I used to be too slow for full-back then. I was a lot better player if I copped myself on but I didn't. "I am 51 years in Midleton RFC this year. I gave my life to the club. I am still giving my life to them. I am retired now and heading for 72." But coming from a county that dominated the hurling landscape at the time - Cork won All-Irelands in 1976, '77 and '78 - Walsh was always likely to dabble. "I played hurling, I left hurling to go to play rugby but in the summer time I used to play hurling," said Walsh. "I started off in Midleton, and I went back to Ballinacurra, a village outside Midleton. They were only a small club and I played away with them. "Then I moved houses and I joined Russell Rovers. When they opened their fields it was Cork versus Limerick, and I had to line out for Cork the same night. "They were short of numbers. Pity I wasn't good enough to play more games. But I had the honour of playing senior hurling for Cork." But following the efforts of founding members Bill Hume, Dais Moore, Dr Con Cunneen and Jimmy McCarthy, Midleton RFC was the talk of the town. Sunday's Well and Cork Con were the sponsors while Midleton began to recruit younger members who would lay the groundwork for a successful future. "I used to get my hair cut downtown in Midleton, the man who used to cut my hair was the late great Dan Lynch," said Walsh. "He was involved in the club big time when we reformed in the 1967-68 season. We were not operating for years and years and we got together again. "I joined in the 1968-69 season. Dan persuaded me. A lot of my friends were after turning over to rugby. That is how I took it up. "It was Dan Lynch that got me into the club the first day." 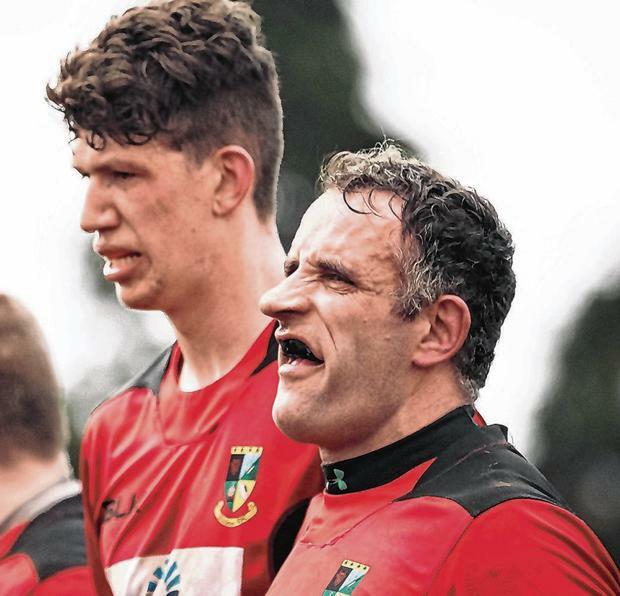 The south-east Cork town is best known for its Jameson Distillery but sport continues to play a huge part in the narrative to this day. There is a community feel to everything around the town and Walsh believes Midleton RFC revel in their family roots. "Midleton is a fierce sporting town," said Walsh. "Down through the years, in the 1980s and '90s, we had a very successful hurling team. "They are still going OK but not as good as then. They won the All-Ireland club title in 1987. "They have a good soccer team. In general it's a sporting town. East Cork is agricultural as such, a great area for agriculture. 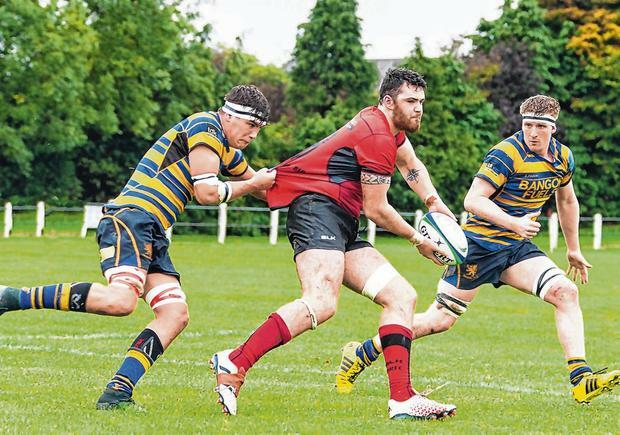 "The main business is the distillery who are sponsors of Midleton RFC. They have been very good to us. "You could call it a family club but we have players from all around. We have one from New Zealand and one from Africa. In general they are all working around and we all rope in help out. "We have a new group coming in and they are not bad, they work away. We have a good social committee. "We have sponsorship this year for the pre-match lunches. They are one of the best around. We have a three-course meal before every match. We have a few drops of wine to give out as well. "Everyone that comes down praises our pre-match lunch. I have been a lot of places around the country and you can see the difference. There is work in doing that. "We have Ballycotton Seafood. They look after us. Then the drinks are a part of Midleton Distillery, the Midleton Jameson Experience. You can come down and visit the place and see how it is being made. They have a tour." But rugby is first and foremost for Midleton RFC and producing the next Jason Holland is the dream. "The underage system is strong. Our U-16s are in the final of a competition, our U-18s are through and this year things are going along lovely and long may it last," said Walsh. "We have a great juvenile section. This year things are going according to plan. "We have some fine players coming through. Please God they will buckle down and stick with the club."